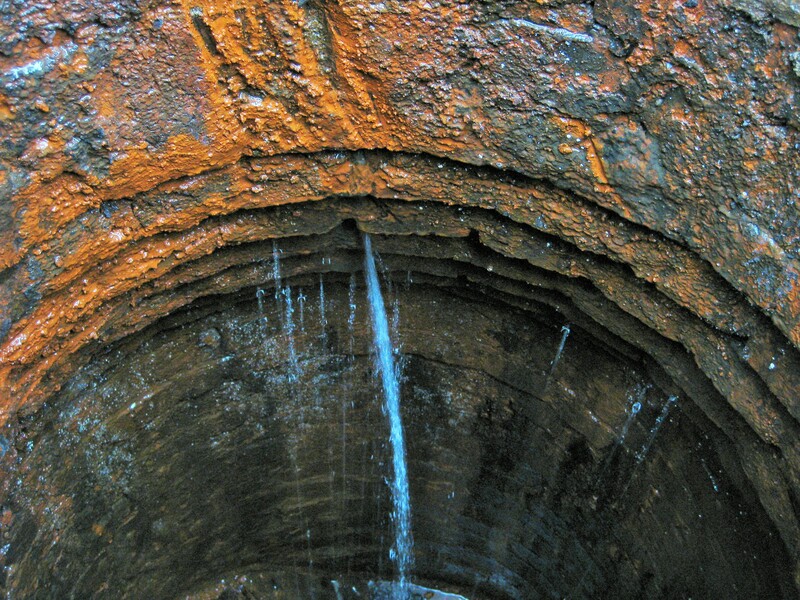 Problem: Groundwater infiltration into the sanitary sewer manholes in Waverly, Tenn., was causing sewer overflows. Two pump stations with 4-inch pumps were activated during each rain event, and surcharging caused manhole lids to float and a lift station regularly overflowed. Something needed to be done about the leaking manholes. Solution: The 244 manholes selected for rehab were all below the water table. Approximately half of them were brick and half precast concrete. CTR Coatings, located in Powell, Tenn., remedied the situation by repairing and lining the manholes. Forty percent of the manholes were raised, replaced or reset, and root balls were removed from many of them. They were pressure washed and active leaks stopped with hydrophilic coat, a surfacing layer of polyurethane foam, and a corrosion barrier of polyuria, was then applied to a minimum thickness of 500 mils. It dries in about 10 seconds, so the manholes were placed back into service immediatly after the lining was installed. Result: The pump stations have not kicked on since the manholes were lined. The lift station has not overflowed and the manhole lids no longer float from surcharging. Reduced flow means lower treatment costs, and the city no longer needs to worry about leaking or corrosion in their manholes.